No street parties. No bunting. No councillors or retiring MPs cutting ribbons. 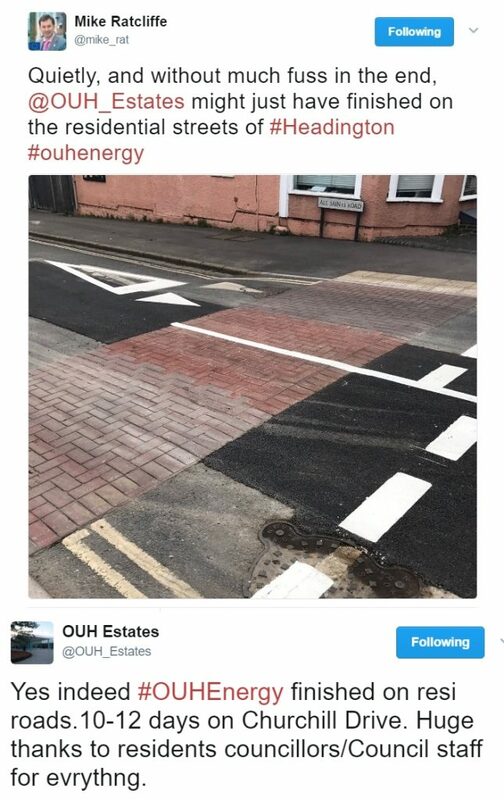 Just these two low-key tweets told us that all the heatpipe roadworks in Headington’s residential streets are finished. The Fat Lady isn’t going to sing for another few weeks though. Work on Churchill Drive is still causing traffic delays and diversions. This work is due to finish on 26 May. Expect a loud aria to be heard throughout Headington!